After much deliberation, we have decided to come at you with a fresh face to match our new rising professionalism! After proudly reaching 1000+followers and receiving much love from bands, fans, and other supporting partners, we got to thinking about how we should step up our game so that we can bring even BETTER things to the music scene and start giving back to those who give to us. 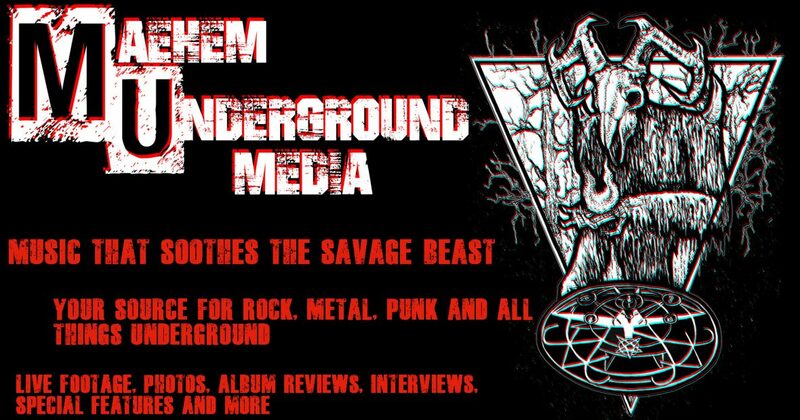 With much love, we proudly to present to all of you- MAEHEM UNDERGROUND MEDIA– a multi-media outlet for the music scene! Photos, videos, news, reviews, interviews, live performances and SO MUCH more can be found in the UNDERGROUND! Please follow us in the links below as well to catch up with us on what is happening in the music scene! Want to support us even further? We want to help the fans to better connect with the bands and of course vice-versa! By subscribing to our Patreon page in the link below, you are not only helping us bring our outlet further and stronger, but you are also helping your favorite bands too! With EXCLUSIVE content from the music scene you love, access to giveaways, credits as a supporter on our videos, special invitations, merchandise, and MORE! The MAEHEM is just beginning!!! !